AVT Reliability Ltd offer a range of vibration sensors for use with Machine Sentry. MSM-1 is designed for making periodic vibration measurements. Simultaneous recording of vibration, temperature and one other parameter can be made with sensor via an integrated temperature sensor and an auxiliary input. The sensors includes a powerful magnet suitable to temporary installation. 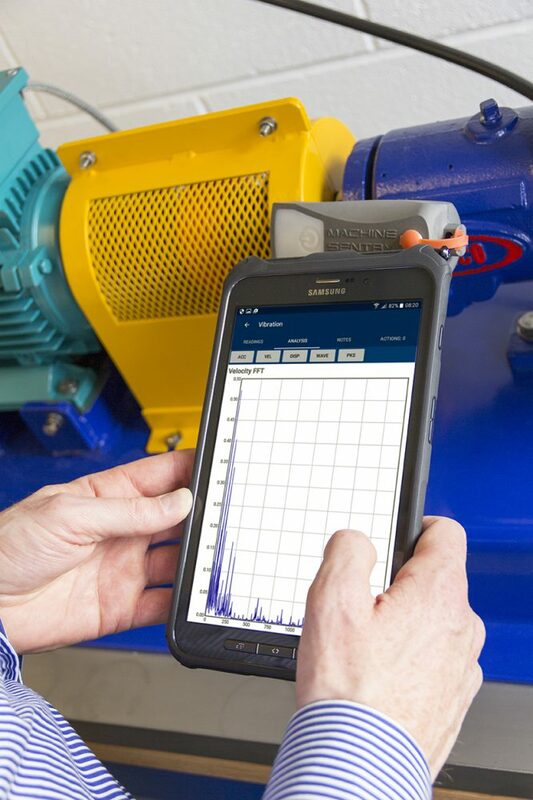 The MSM-1 sensor is wireless and communicates via Bluetooth® to any Android or Windows mobile device up to 10m away enabling measurement to be easily made in difficult to access locations. An integral rechargeable battery permits continuous measurements to be made for up to 40 hours and the inbuilt magnet ensures easy and correct mounting for repeatable data measurement. MSM-1 is available with both ATEX and IECEx certification making it suitable for use in a wide range of Zone 1 and Zone 2 classified hazardous areas. MSF-1 is designed for semi-continuous vibration monitoring. The sensor simultaneously records vibration and temperature information. The sensor can be either permanently attached to an asset or temporarily installed using an optional magnet attachment. The MSF-1 sensor is wireless and communicates via Bluetooth® to any Android or Windows mobile device up to 50m (line of sight) away. Intelligent data compression utilities optimise the amount of data that can be stored internally. The time waveform is stored in a high definition raw format giving maximum flexibility for post processing. The integral replaceable battery will operate for up to 5 years depending on collection mode. MSO-1 is designed for continuous vibration monitoring. MSO-1 has 8 high speed dynamic inputs, with an additional 4 static inputs available as an option. The Machine Sentry® MSO-1 as standard is available with either WiFi or GPRS antenna. This allows the system to continuously connect to the web and enable the data to be view via a web portal. The enclosure can also be upgraded for ATEX environments.